“There’s a villain in every hero. This was really good! I truly enjoyed reading this book from page one. It kept me up late at night not only because I wanted to see what happened next, but because it was creeeeepy! It was nice not read the typical un-reliable narrator story for a change too. In Find You In The Dark, Martin Reese is obsessed with finding undiscovered bodies hidden by serial killers. When he stumbles upon a very new body in a very old grave site, he realizes he has gotten himself in too deep. Martin has unknowingly angered one of those killers who has remained in the shadows by disturbing the perfectly hidden, (or so he thought) resting place of one of his victims. For years, Martin has been illegally purchasing old police files from Keith Waring. A loser cop who never got to do much more than desk work. With Keith’s files, Martin is able to put enough information together to find these missing victims the police never found. Once found, Martin anonymously calls the police and leaves detailed computer generated messages leading them to the bodies. He reminds them each time of their shoddy police work, and scolds them for letting the victims families down by not trying harder. Detective Sandra Whittal and her partner Chris Velazquez don’t mind the help this mysterious “Finder” has given them, but Sandra feels that something is off with the caller and vows to find him before his calls escalate into his own murder spree. Once the main plot is revealed, the book really takes off. I was invested in Martin Reese and wanted him to come out on top. His character has to do some major self reflection in order to understand why he has such a desire to recover these victims. Does he have an inner desire to kill on his own, or does he really just want to help families find their missing loved ones? Will the real killer find him and seek revenge? Of course, Martin himself has some things in his past that he would like to remain a secret, but as we know that never happens. There were two parts of the book that I think could have been tightened up. First, the name of the book. Find you In The Dark didn’t seem like the best title to me. Maybe it had to do with the killer murdering women in the dark? Who knows. But since the police call Martin “The Finder”, I think the title of the book should have been just that. The Finder. Second, the end felt a bit sloppy. I always love the build up in books like this, but have relaized over time that many of the books rush the ending. This ending wasn’t super rushed, but some of the things characters did weren’t true to how they had behaved in the past. I don’t want to say who I am referring to in order not to reveal anything. When you read this, shoot me a message and we can discuss it further. 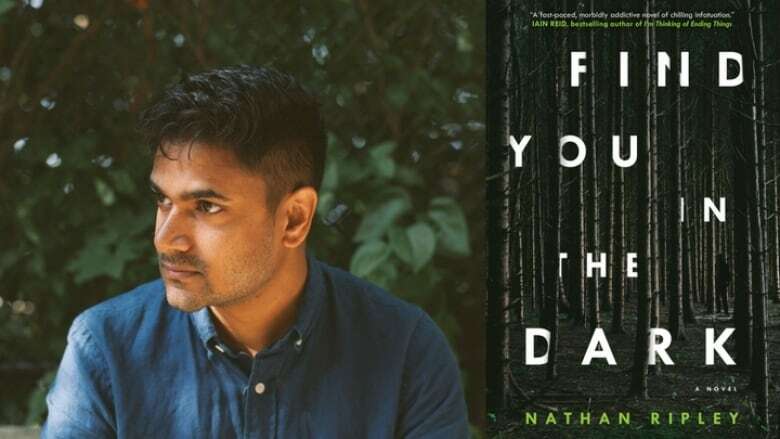 Thank you to Atria Books and the author Nathan Ripley for this Advanced Readers Edition of Find You In The Dark.